Home / Uncategorised / Green joins Black & Whites! Green joins Black & Whites! 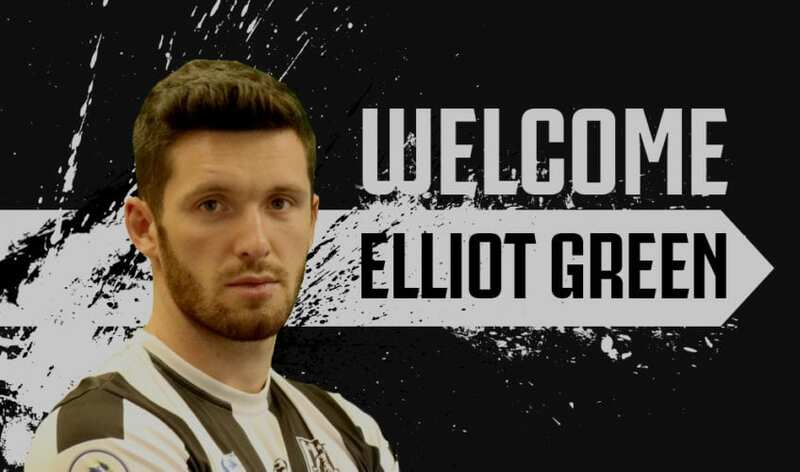 Adelaide City have continued their busy transfer period with the signing of experienced defender Elliot Green. Green joins the club after a young career has already seen him ply his trade all around the world. He began his professional career with hometown club Lincoln City and spent time with fellow English clubs Grantham Town, Sheffield FC and Eastwood Town. Green has also spent a small portion of his career in the Swedish Division 2 Norrland with Sollefteå GIF, Gällivare Malmbergets FF and Ånge IF before moving to Canada and playing in the United Soccer League with the Vancouver Whitecaps FC 2 squad, during their 2016 season. Most recently, Green was with Guiseley AFC in England’s National League and was loaned out to Alfreton Town for the 2017-18 season. Green, however, decided to make the switch to Australia. He is a motivated young man, and at just 25 years old he has already played in three different countries with Australia being his fourth. But he quickly stated that he is not here for a holiday. “I want to win medals and add to the already-rich history of Adelaide City,” Green said. Green also believes that his experience of playing all around the globe will ultimately help City achieve their goal of their first championship since 2010. “Playing in different countries has given me a chance to take different values and parts of my experiences to hopefully be able to help my younger and less experienced teammates,” said Green. However, Green also spoke of the amicable welcome he has received by the club thus far, emphasising just how easy it has been for him to settle into a new country and football club. “Everyone at the club has been amazing to me so far,” he said. Adelaide City continue their pre-season with another trial match against State League 1 outfit West Torrens Birkalla at Adelaide City Park this Thursday night.